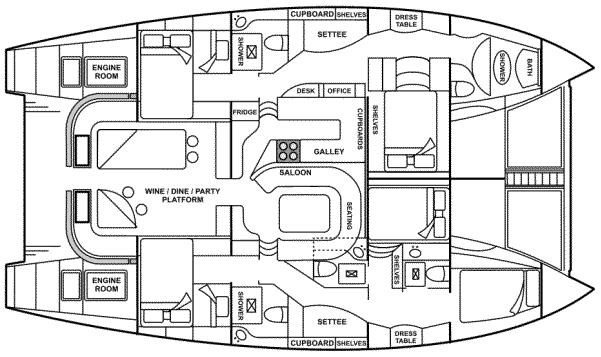 Yacht Adiva offers the ultimate luxury in live-aboard experience. With the wind at your back, the sun warm upon your face, cool blue waters lapping alongside, you will be able to relax and benefit from a fun-filled experience of a lifetime. Adiva, a 53 foot (16.1 metres) Royal Cape Majestic 530 offers all you might expect from a luxury yacht and more. The yacht is fully equipped to offer diving, sport-fishing, sailing and island hopping excursions of note. We have gone through great lengths to equip the boat with all the latest comforts and electronics. Yacht Adiva is bound to set new standards and bring a whole new meaning to the phrase Live-aboard Safari.